Les Rhinoceros! Canto General feat. Louis Moholo! 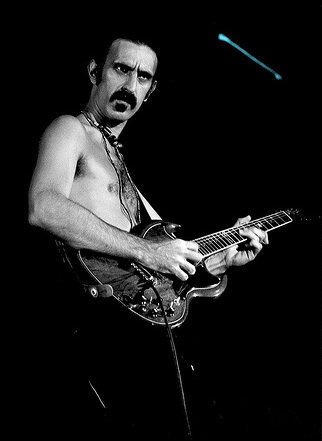 Frank Zappa live disc! Yoni Kretzmer/Sean Conly/Reuben Radding/Mike Pride! Two from Jinta-La-Mvta! Ken Aldcroft & Scott Thomson! Mary Afi Usuah! Brian Chilala & Ngoma Zasu! Stephen Stills! Luigi Archetti 7CD boxset! Bill Nace/Steve Baczkowski/Chris Corasno! Eliane Radigue! David Toop! Art Zoyd! and more! On June 30, the renowned New York label M.O.D. Technologies will issue Sound Virus, a new digital release from the legendary Praxis. Led by bassist/producer Bill Laswell, Praxis is a highly experimental project that has featured a fascinating array of contributors including guitar wizard Buckethead, Bryan “Brain” Mantia (Primus/Guns N’ Roses/Godflesh), Bootsy Collins and Bernie Worrell of Parliament-Funkadelic, Afrika Baby Bam of The Jungle Brothers, Mike Patton of Mr. Bungle/Faith No More and Iggy Pop. As discussed in my review of Sound Virus, the new release features what the label calls “re-stored, edited, enhanced and remastered” versions of Praxis tracks from their early ’90s albums Sacrifist and Metatron. This particular era saw the band’s core lineup (Laswell, Buckethead and Brain) joined by Mick Harris (PainKiller/Napalm Death/Scorn), John Zorn (PainKiller/Naked City) and Yamatsuka Eye (The Boredoms/Naked City). Tom Thayer performs, accompanied by L. GRAY (aka Keith Connolly of NNCK), an exploratory piece for synthesizer, tape, and electronics. Inspired by youthful impressions of Gary Wright’s 1976 hit Dream Weaver, the work is dedicated to Wright and Italian composer Walter Marchetti. Using a home-built theremin, room feedback, wave generators, mono speakers, and mathematics, Kyle Eyre Clyd’s floating, pulsating synthesis demands intense stillness, mental focus, and an almost-trancelike physical presence on the part of the performer. Artist, composer and improvisor C. Spencer Yeh opens his 2015 ISSUE Project Room residency with a solo performance at Artists Space Books & Talks. Presented in collaboration with Primary Information, the event celebrates the recent release of Solo Voice I – X, Yeh’s first LP devoted entirely to the voice. Strategies from the recorded document will be used as guidelines and a starting point for a new solo improvisation.